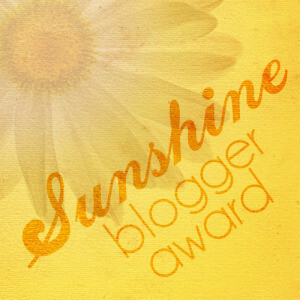 Thanks Amber who nominated me for this award! What drew you to blogging? In 2002, I began blogging at LiveJournal and the now-defunct OpenDiary in an attempt to keep in touch with friends that I’d made in various online (and offline) Pagan and kink communities. How did you meet Loki? This is a difficult question to answer, as it depends on how one would define ‘meeting’ Loki. I’ve known of Loki since I was a kid, mostly due to the combination of my interests in reading world mythology, cultural lore, fairy tales and comic books. As well, as I’ve written before, I had an imaginary/invisible friend as a child who ‘left’ me around age 9 or so. Then I started writing – keeping a daily journal/diary, as well as writing short stories that featured several characters. Then, around age 12, I also started drawing in an attempt to illustrate some of these stories, and there was a particular man whose face I drew a lot. And I still didn’t want to admit that that could have been Loki. That is, until mid-2011, when Loki began to visit my dreams, and actually identified Himself as such. So, take of the above ^ as you will. You could say that I met Loki when I was a young child. Or you could say that I didn’t really know it was Him until 2008. Or you could say that I didn’t want to admit that it was Him until He insisted on (re) introducing Himself to me in 2011. How long have you been with Loki? Since I was a kid, but I wasn’t really pushed to put it all together until 2011. And even then, I didn’t officially dedicate an altar to Him until April 2012. So what is that 3 years -4 years – officially? Do you interact with other gods than Loki? Who? In 1997, I began to identify myself as a Celtic Pagan. I had been studying the Celtic pantheon for a long time before, and I decided to dedicate a lot of my practice/devotion to the Morrighan, believing Her to be my patron Goddess. But for some reason, things began to change around 2010 or so. I had begun working on writing a book about the Morrighan, simply because I’d been studying Her in lore for years and there wasn’t a lot of discussion of Her at that time. And though I couldn’t figure out why, the more that I attempted to gather information on the Morrighan, the more disconnected from Her I felt. So, in February 2012 I received a divination that pointed me in the direction of Freyja, rather than the Morrighan. I also offer to Freyr and Odin at times, and I maintain an altar for Hela. Your favourite way to relax and unwind? I have no set favorite way to unwind. I like to crochet and do embroidery, as well. Name one place you’ve never been but would love to visit. I love all sorts of music. I can and do enjoy listening to all different genres of music. I don’t have a favorite genre, but in terms of radio stations, you’ll find me listening to alternative rock, such as what would be found on DC 101 when I’m in the car. Like music, I don’t have a favorite kind of book. I’ve been reading a lot of mythology and cultural history lately, but I like a well-written suspenseful story no matter what the genre. I also love reading anthologies of short fiction and poetry. What’s your favourite song, and why? While I have no problem with cats – I suppose that I like them well enough as I have three of them living with me right now – I consider myself slightly more of a ‘dog’ person. Both. I used to drink tea exclusively, but when I started to suffer from kidney stones, my doctor suggested that I should switch to drinking coffee instead. So I drink 1 or 2 cups of coffee a day as a replacement for all that tea that I used to drink, but I still enjoy a good cup of hot spiced chai once in a while, or a tall glass of sweet iced tea. Spread the word, they said. The other day, I was thinking about this duty to evangelize that a lot of Christians have got going….and this default assumption that their evangelical Christian behavior is welcome anywhere that they are. And it got me to thinking about my own religious beliefs and how I am sometimes reluctant to ‘come out of the closet’ as it were, because I personally live in a community dominated by Christians – namely Baptists and Jehovah Witnesses. I’ve always chalked it up to the fact that I am living in that state in the South which is not the South but still has a lot of Southern conservative Christian attitudes, namely Florida. So, in that sense, I hardly think that I am the first person to point out that when you tell many people that you’re spiritual, they assume by default that you must be some form of Christian. But aside of all that, I’m getting pretty cranky about some of the people in my neighborhood. Walking my dog the day before yesterday, I found at least a half dozen of them during the first 1/2 mile of my walk. Two of them were taped above the walk signal button. Three were tacked and/or stapled into tree trunks that were at least 100 yards from the road-edge. And one – the above one – had been affixed to an electrical pole that held a public cable line repeater. 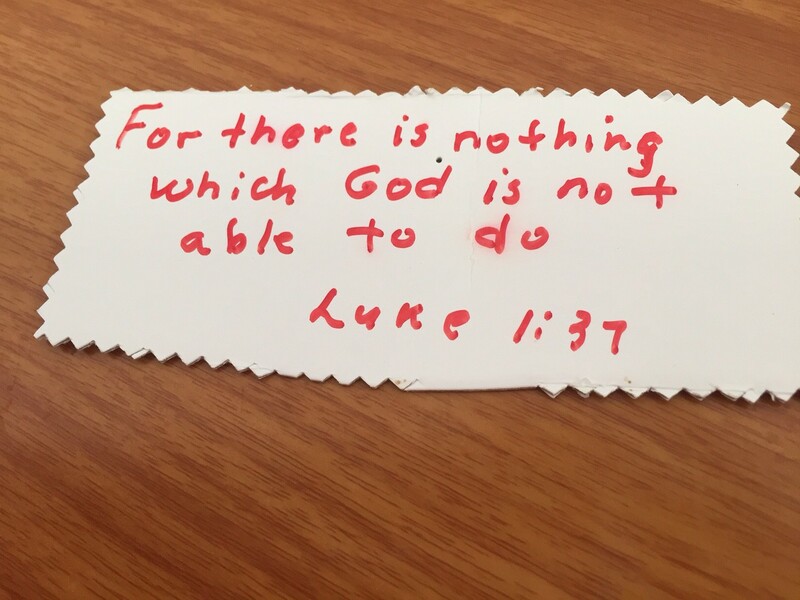 Walking today, there were at least eight more tacked, taped or stapled unto various things, often at eye-level. One little sign had been twist-tied into the branches of a decorative hedge. And it got me to thinking that someone was going quite out of their way to spread these blurbs of God. I suspect that this is why small towns often put up those ‘Post No Bills‘ signs in downtown areas. But no one seems to care — except for maybe me – because I watched several workers for the home association (whose job seems to be come out every other Thursday or so to clean up the litter along the sidewalks, and remove other things that don’t belong like the handmade cardboard signs of past garage sales and whatnot) – and I watched each of them stop as if to read these little signs, and then each walked away without removing it. So, since the homeowner’s association seems to approve of these little signs – I mean, their job is to remove things like that all under the auspices of removing ‘litter’ and I distinctly witnessed each of them leaving these signs alone- I decided that I would turn each of these signs over and write my only little spiritual blurbs on them. So far, I’ve re-purposed two with stanzas from the Hávamál, one with a short passage from the Vedas, two with verses from Thelema doctrine that came through the Ape of Thoth randomizer, and one with a portion of the Homeric hymn 26 to Dionysus. Now let’s see if those signs stay up. The God Phone, and the Devil in the details. This past Saturday, I went to a local craftsperson/artisan event that was being held downtown from where I live. Part of the reason for the event was to inspire folks to begin their holiday shopping locally, and I was happy to see that a lot of the shops along the main street were open and busy as a result of this event. I also discovered a few (new to me) local stores that I realized that I hadn’t even known existed so close to my home. So, as I was browsing in an antique store that I’d never thought to explore, I came across so many battered (yet overpriced) mundane items that filled me with childhood nostalgia. One such item was a bulky black rotary telephone that reminded me of the one that sat on the side table in my Nana’s front hall in the early 70’s. It looked just like the one that I had been warned by my Nana was a Very Important Thing that I must never play with. It also made a very deep, jangling ring, and I remember being a bit terrified by the look of it and the sound of it when it rang. I vaguely recall her explanations about how this telephone was a Very Important Thing for Hearing the Voices of Those Who Are Very Far Away, so I chuckle to think of it now, but I remember being entirely convinced in my young child-mind that only God would ever call my Nana on that phone. And besides, how I understood it, it seemed to me that God was definitely a Someone Not to be trifled with, as well as Someone with a Voice, from Very Far Away. 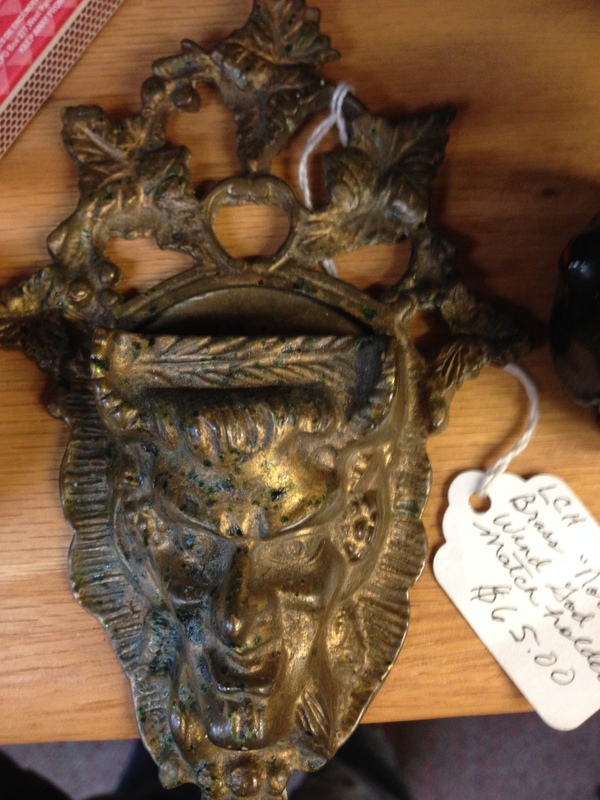 At first glance, I’d assumed that this brass match-holder (to be mounted near a fireplace) was supposed to depict the face of the Devil or an imp – and I would still say so – but upon inspection of the tag, I saw something else written there. While I tried several times to capture a good angle that would allow a view of both the face and the tag, I couldn’t get it all within the frame. Doing more research on this piece through the Internet/Google – I went to Amazon sold lists, various antique websites, Pinterest, and eBay – this piece is listed as depicting any of several Beings: the Devil, Pan, Dionysus/Bacchus, and the Green Man. I was very taken aback to see ‘Norse Wind God’ however…because I know Who I thought of when I read that on the tag. If time is a fluid concept, then I should really watch what I say from now on. Gods, how I love language. This is not. And yet this is.